How Long Does Carpet Cleaning Take? We know how important our customer’s time is to them. That is why we do our very best to provide both an effective and efficient carpet cleaning service for residents and businesses of Bryan and College Station, TX. 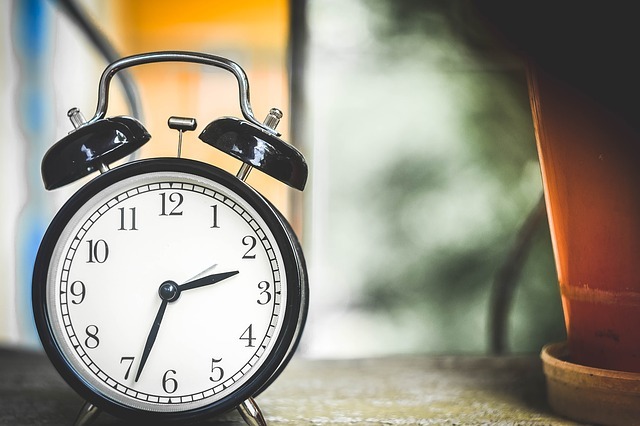 The truth is, there are several factors to consider concerning the amount of time it will take to clean carpet in a home or business. This is why the question, “how long will it take to clean my carpets?” is not always easy to answer. However, we can provide an estimate for you and some of the factors that speed up or slow down professional carpet cleaning. First, we typically estimate each room we clean will require 20 minutes. Chem-Dry of Brazos County considers a room to be around 300 square feet. The larger the room, the longer we will need to remove stains and deep clean the entire area. The most important factor in determining the necessary time for carpet cleaning is the amount of carpet that needs to be cleaned. A few small rooms or an apartment will often only require 60-90 minutes whereas a large home or commercial property can require anywhere from 2-4 hours. How dirty the carpet is upon our arrival will be a major factor in how long our carpet cleaning service will take. A relatively clean carpet with minor wear and soiling should only require one or two passes over by our Hot Carbonating Extraction (HCE) equipment whereas heavily soiled carpet might require three or four. 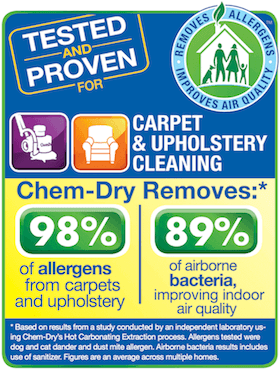 Stains will also slow down the carpet cleaning process. Some common stains are able to be removed with our basic cleaning, however, there are some specialty stains that require specific solutions and methods for successful removal. These types of stains are more difficult to clean and therefore take longer to clean. Pet urine stains in particular are very difficult to remove and require additional effort on the part of our technicians. We offer a pet urine odor removal service. The service features P.U.R.T.® and is able to permanently remove over 99% of pet urine odors from carpet and upholstery. We highly recommend this service if your carpet has pet urine stains as these stains can cause serious damage to carpet as well as subfloors and carpet pads. The amount of furniture that is in a room will impact how long it takes to clean the carpet in that room. 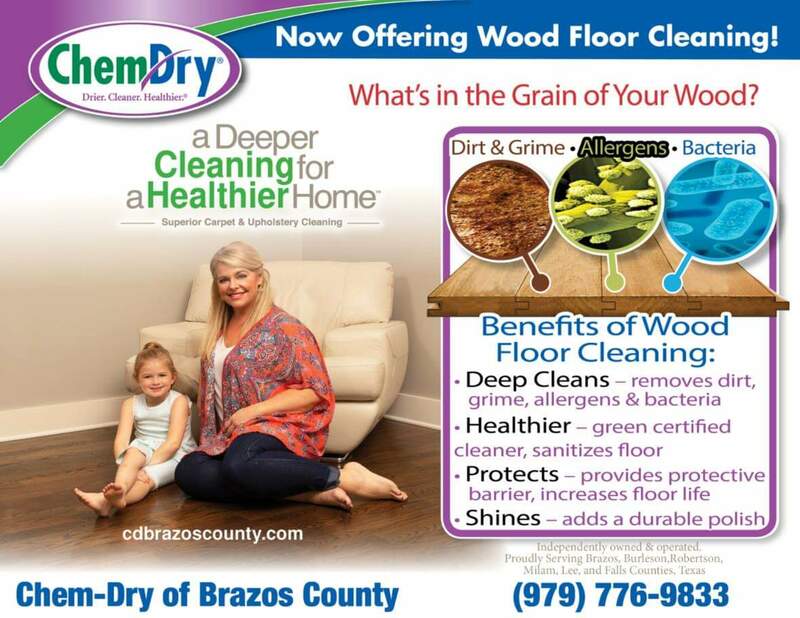 Chem-Dry of Brazos County will move and relocate several types of furniture, including sofas, recliners, coffee tables, side tables, dining room chairs, ottomans, benches and more. After we move the furniture, we clean beneath it and then return the piece to its original location. The more furniture we need to move, the slower we are able to complete our carpet cleaning process for that room and for your home. You can help expedite this process by relocating smaller furniture to rooms with tile or hardwood floor or in carpeted rooms you do not need our services in. 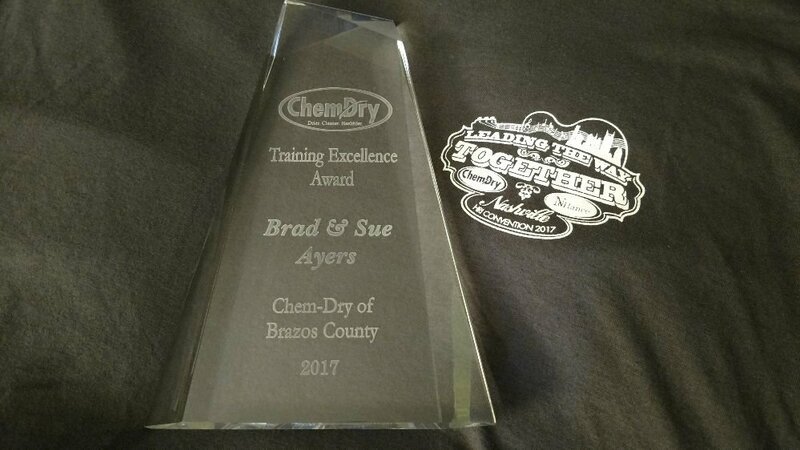 Call Chem-Dry of Brazos County at (979) 776-9833 today! We would be happy to schedule an appointment and provide an estimate of how long it will take to clean your carpets based on the size of your home.